SFI 3.3/5 Certified (SFI 5). FIA Homologated 8856-2000 Approved. 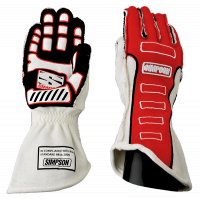 The Simpson Competitor Gloves feature Nomex® Construction with a distinctive white trim. The silicone palm and touch points give superior grip and limited bunching. Available with inside and outside seams. Meets FIA 8858-2000 and SFI 3.3/5 requirements. 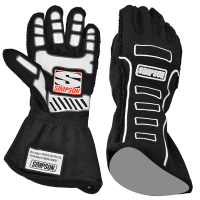 Pit Stop USA offers Simpson Competitor Gloves 21300 21300SR 21300SK 21300MR 21300MK 21300LR 21300LK 21300XR 21300XK at low everyday prices. 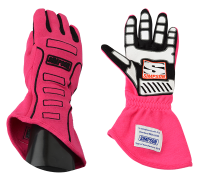 Be sure to check out all of our products from Simpson Race Products including Simpson Race Products and Simpson Race Products Competitor Glove and Simpson Race Products Competitor Gloves.